Because of my, shall we say, adventures in liquidity, in Melbourne, I was behind in my work by the time I got to Brisbane. 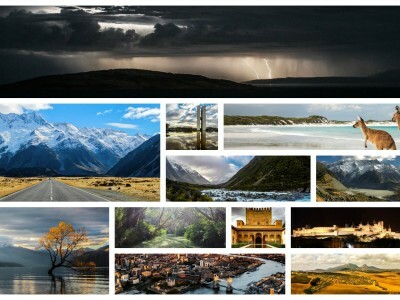 So I mostly just holed up at the hostel and got work done. However, on my last day I finally did the touristy thing, and went to a koala sanctuary. 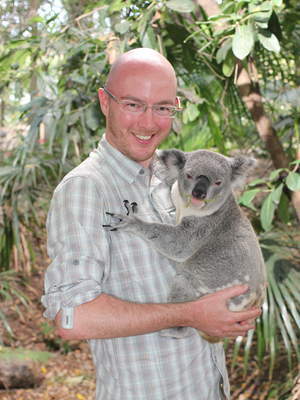 OMG I WAS HUGGED BY A KOALA AND IT WAS AWESOME. 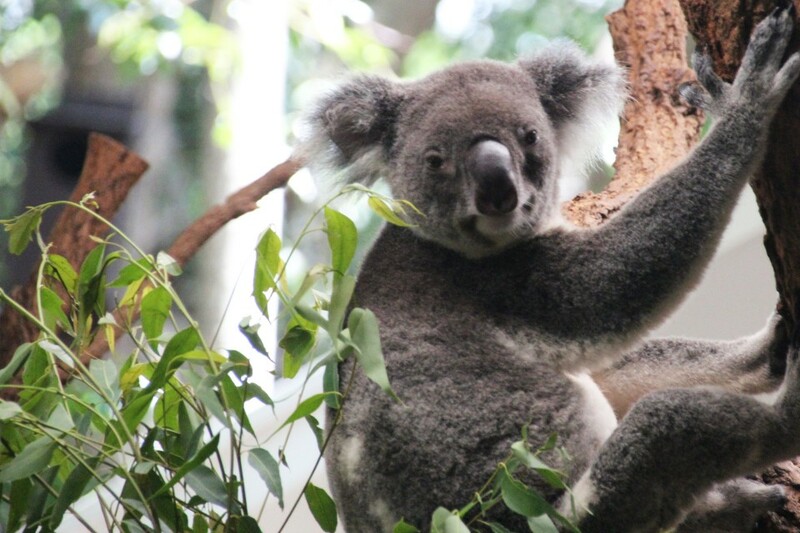 The Lone Pine Koala Sanctuary is a 45 minute busride from downtown. 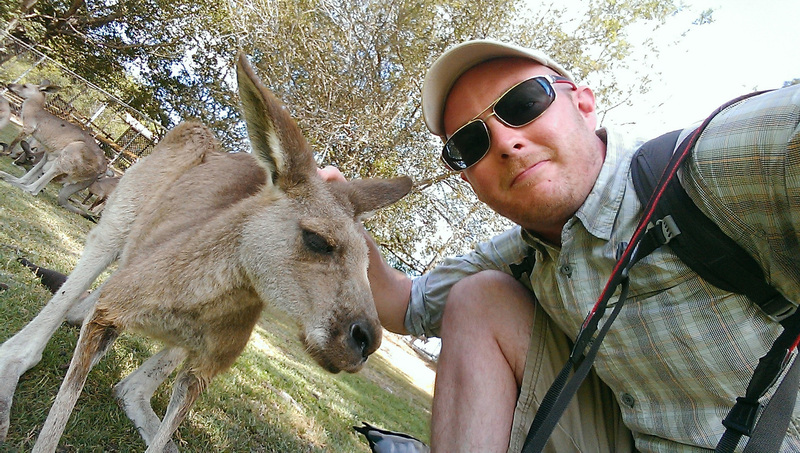 It’s not very big, but they’ve got a wide selection of Australian wildlife. Now I’m not big on zoos, as a rule, but this one wasn’t bad. The ‘roos had lots of space to hop around (though in the heat, they don’t), and other animals like the Tasmanian Devils need to be in captivity, less we lose the species (here’s why, but it’s pretty gross). 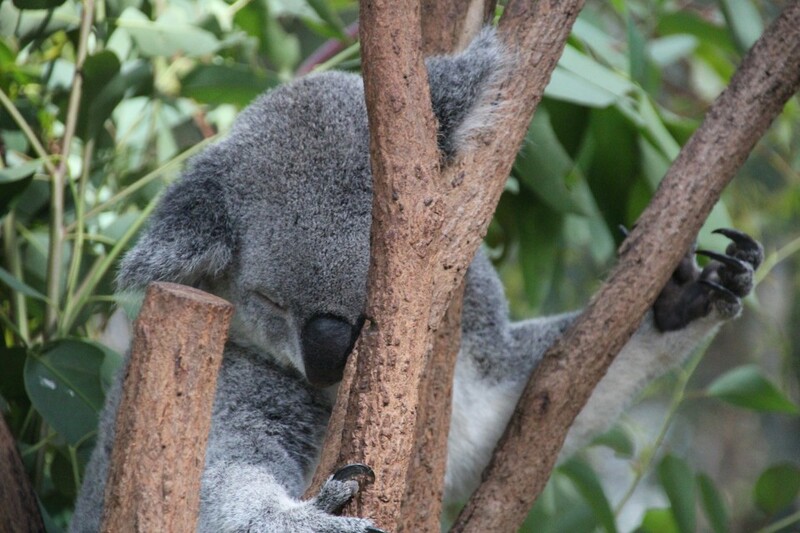 Koalas, on the other hand, probably don’t care much about being in captivity. They sleep 20+ hours a day, and as a rule, are pretty chill. As long as they get their eucalyptus leaves, I doubt they care where they are. They’re as soft as you’d hope. Well, soft for a wild animal, this isn’t a freshly laundered puppy. While their claws look menacing, they move so slowly they’re as threatening as a pillow. The handlers swap the koalas out regularly. I’m not sure how often, but it almost seemed like every other person or so. They’re given some fresh leaves to munch on, so it’s likely they don’t care if they’re sitting in a tree or sitting on your hands. Some other people I’ve met said the koalas they held smelled, but Ralph didn’t. I very much wanted to keep him. About half the sanctuary is wide open, home to a few dozen kangaroos. It was mid-day when I was there, so they were all chilling in the shade. 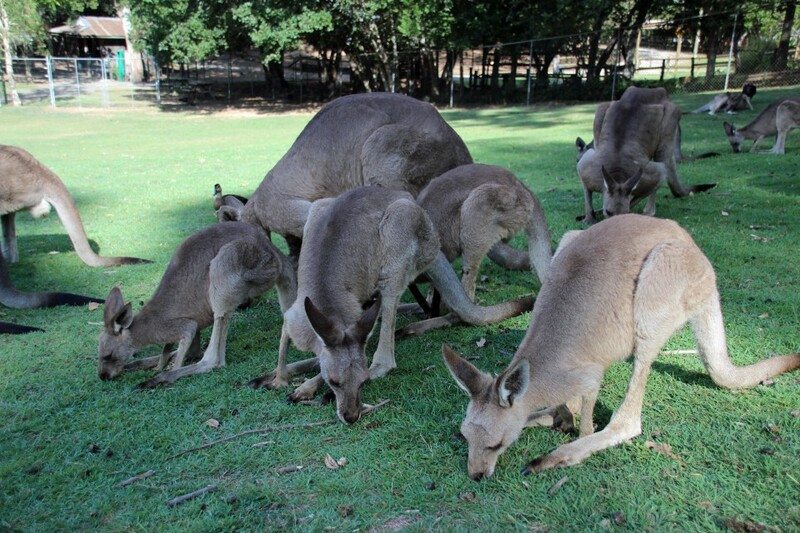 While you’re free to wonder around this area, there’s a ‘roo-only part in the back where they can take a breather away from the pesky humans. A few hopped at great speed across the field at one point, but sadly I didn’t get a video of it. It’s as weird as you’d expect. 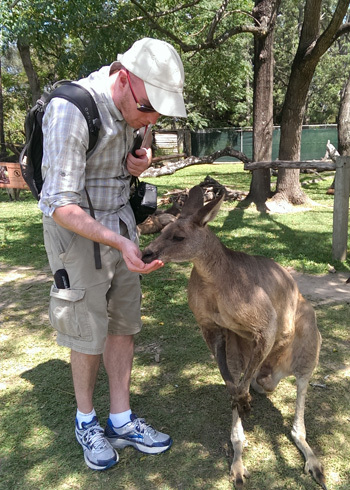 You can actually buy kangaroo food, and can feed it to them. They’ll hop (or lean, if they’re lazy), and eat it out of your hand. Kangaroo spit is sticky. Because they’re so used to humans, you can pet them and everything. Getting them to pose for a selfie, on the other hand, is a challenge. I tried to explain it was for my blog, but they didn’t seem to care. 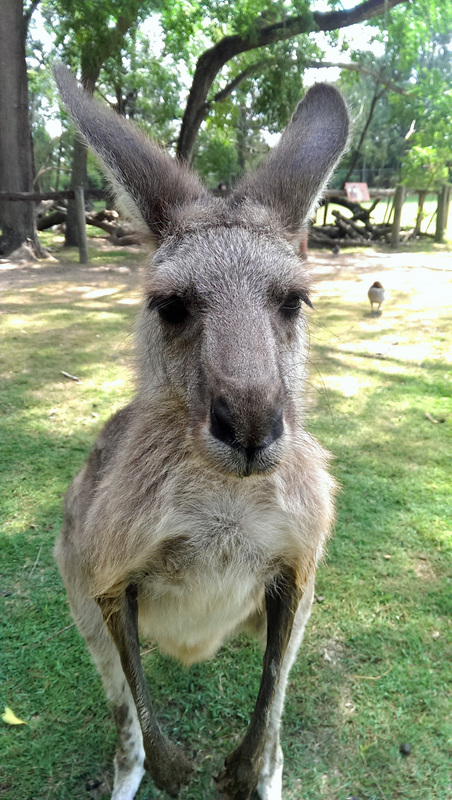 These ‘roos had pretty coarse hair. The average size for the ones I met were about the size of a large dog, or maybe a small deer. There were a couple of alpha males that were probably the size of a person. These were big enough that some of the smaller park visitors were wary. To give you an idea, the one you see standing next to me in the picture on the right is about the size of the ones in the foreground in the group shot above. Yeah, that one in the background was pretty big. Mostly, they all just laid in the shade and licked their legs (which they do to keep cool). It was quite calming, actually. I wouldn’t have minded joining them, propping myself against a tree, to read/work/sleep, whatever. I think I could have skipped licking my arms though. But hey, when in Rome Brisbane. Platypuses (platypi?) are just as weird in person as you’d expect them to be. Smaller, too, at least the one I saw. About the size of a small cat. 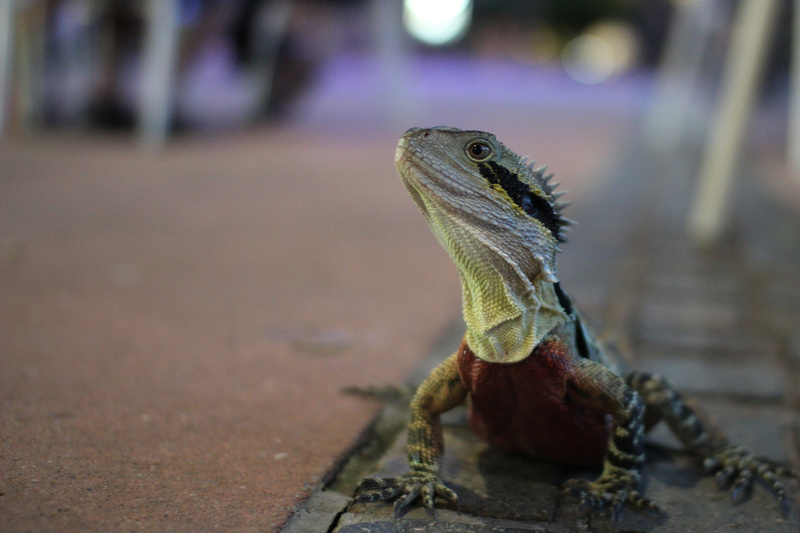 Did you know that on top of their other weirdness, they’re actually venomous? 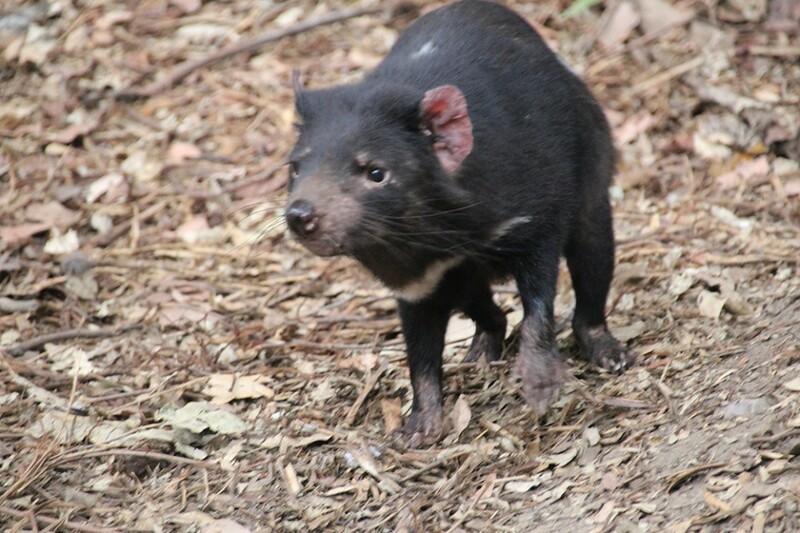 The Tasmanian Devils were eating when I saw them, but sadly, they were pretty chill about it. This guy just wanted to say “Hi”.